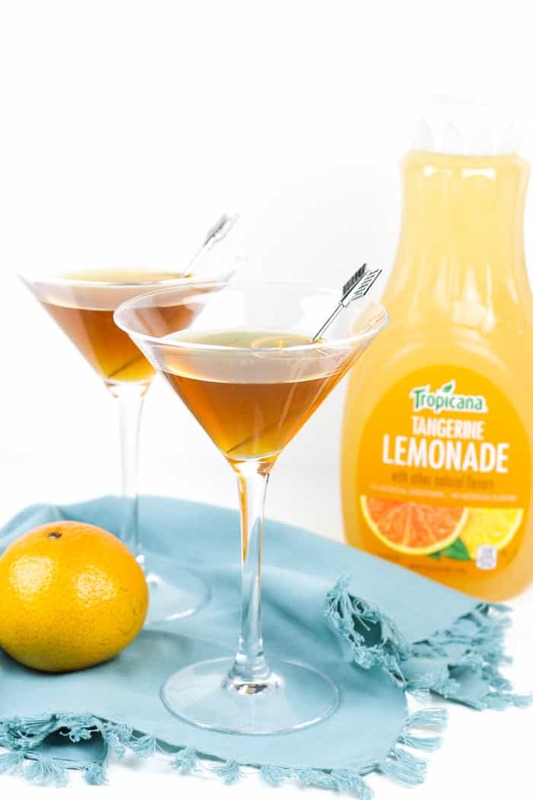 Grab a friend you haven’t seen in a while and shake up a Tangerine Sidecar for him or her! 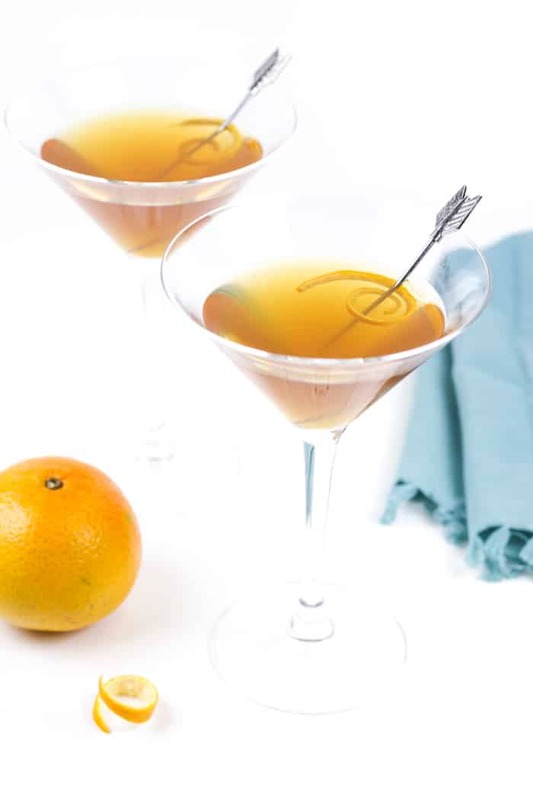 This citrusy twist on a Prohibition-era classic is the perfect reason to get together. THIS POST IS SPONSORED BY TROPICANA. THANK YOU FOR SUPPORTING THE BRANDS THAT SUPPORT FEAST + WEST! The other day I saw some awfulness on Facebook. I am still wrapping my mind around it. What was the awful news? That Christmas is just 2 months away. WHAT?! I swear, it was just the other day that I was moving and starting a new job. It has been a whirlwind year for sure. I am SO not ready for the holidays. Can time just slow down already? I want another month of summer. Another road trip. More casual hangouts with friends. Maybe I’m so hesitant for the holidays to get here because things have just been busier than usual lately. I hate it when you ask someone “How have you been?” and they just say simply, “I’ve been busy!” Because we have allllll been busy. I don’t like being that person. But I mean it when I say things have been busy lately! Between family visiting from overseas, getting a new floor in our master bathroom, having a family member in the hospital, attending my high school reunion, and bouncing from Sacramento to home to New Orleans to home to Arkansas to home to Denver and back, PLUS the usual work and social life things — busy doesn’t really begin to cover it. I definitely have a list of friends I’ve been meaning to have over for drinks or to grab coffee with. 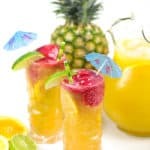 Earlier this summer I tested out a bunch of their juices and ended up making this Pineapple Mango Tiki Punch. 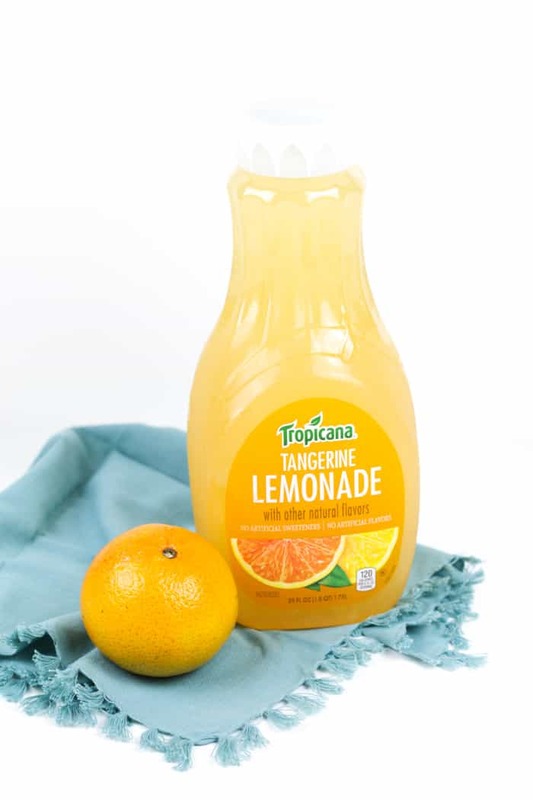 But ever since that taste test, I’ve been addicted to the Tropicana® Tangerine Lemonade. 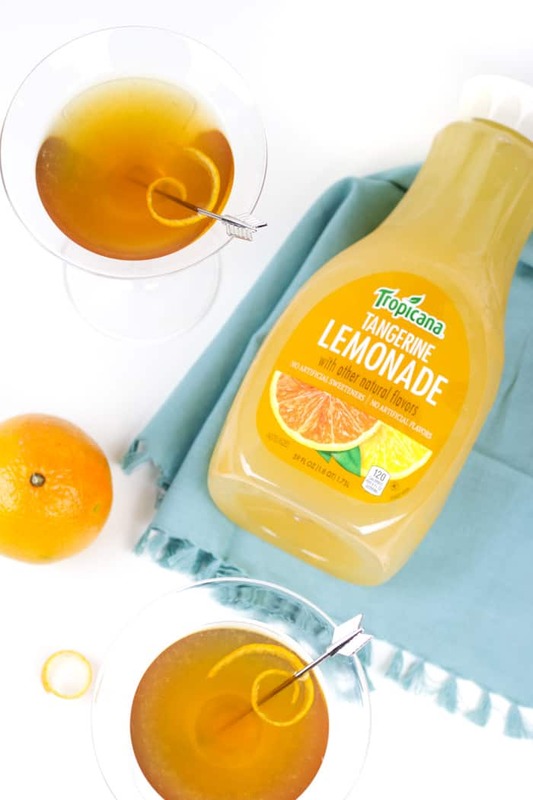 I’ve always been a huge lemonade lover, but the Tangerine Lemonade is a little sweeter in the most refreshing way. 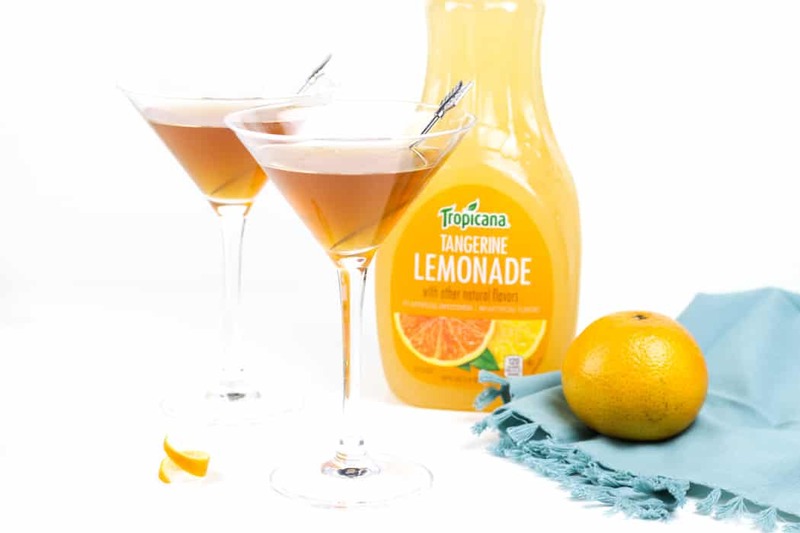 It is by far my favorite of all the Tropicana Premium juices. 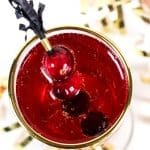 They’re great for Gatsby costume parties or the holidays, but there’s nothing like sitting around at home with friends and a fancy cocktail. 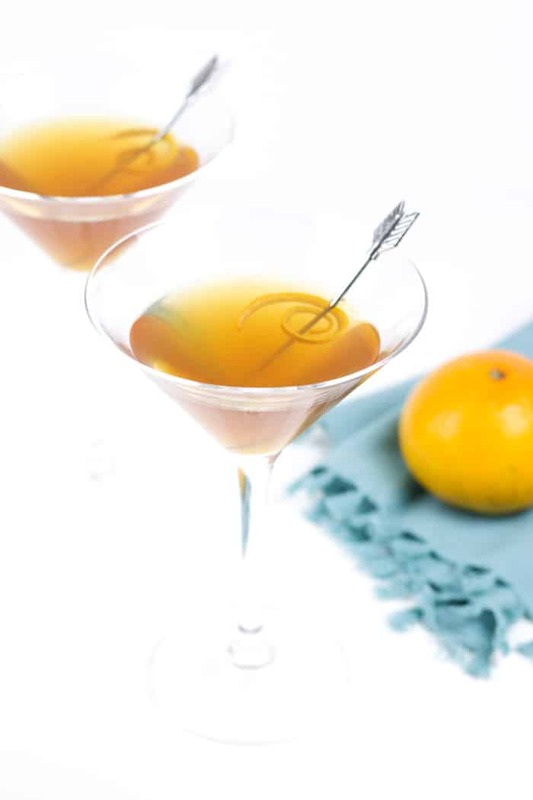 So if you’re like me, and trying not to drown in all the busy, it’s time to invite a friend over and shake up a few of these Tangerine Sidecars. 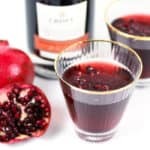 My boyfriend and I really enjoyed sipping on them when I tested the recipe. Chris even made us seconds! Combine ingredients in a cocktail shaker filled with ice. Shake vigorously until chilled. Pour into two martini glasses. 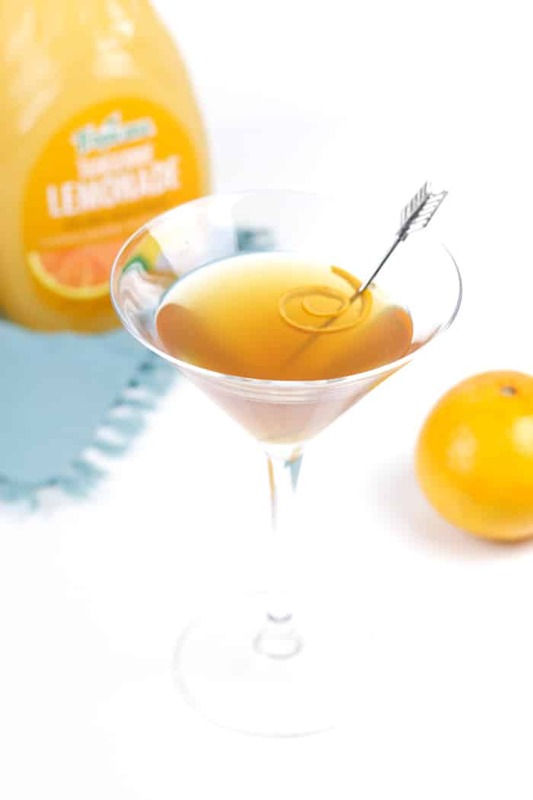 Garnish with a twist of tangerine peel. Serve immediately. Much like yourself, we also enjoy time with friends over cocktails in order to experience and cherish a moments away from the hustle, bustle, and stress caused by a hectic lifestyle. 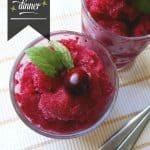 This recipe is quite simple to follow, yet it’s very smooth and elegant. We felt so cosmopolitan and sophisticated when we tried it out! This is one thing we found in common with people who like to express their creativity; that it makes life all the more interesting and vibrant by enjoying simple things as well as relishing a bit of fanciness in between! We would be happy to host you if you ever get a chance to visit Houston, Texas. Let’s enjoy a few drinks together as well as great food that have been inspired by a passion and love for cooking and trying out new recipes. 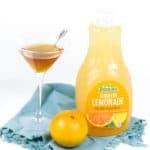 I will be adding this to my postpartum must haves list 😉 This sidecar looks SO yummy!